"We recognise the efforts of the Turkish government in trying to make some progress," said Maren Barthel, CSR manager, buying markets at Germany's Otto Group, in an opening speech. "However, just granting work permits is not the answer; the informal sector is still of considerable size." She and other speakers at the Foreign Trade Association (FTA)-organised event noted concerns regarding reports of illegal employment of Syrian refugees in the Turkish textile and apparel industry, including the employment of minors. The meeting, attended by brands supporting the FTA's Business Social Compliance Initiative (BSCI), heard calls for corporate and regulatory reform to tackle the problem, as well as the development of a realistic action plan to counter supply chain challenges and non-compliance with Turkish labour laws. Turkey introduced a 'Regulation on the Work Permit of Foreigners under Temporary Protection' last January, that allows employment of Syrian nationals granted temporary immigration status and hence protection under labour rules. But the number of people obtaining those permits is very low: only around 7,000 permits have been issued to Syrians, whereas 250,000 to 400,000 are eligible, according to an FTA report. Meanwhile, those working with no documentation are facing poor working conditions, low wages and no social security. Several speakers stressed the necessity of ensuring Syrian workers move smoothly from the informal to the formal labour sector within Turkey. To achieve that, there is a need to incentivise subcontractors to be more transparent and to register Syrian workers. "The primary incentive is the promise of continued orders," said Lary Brown, head of global social and environmental sustainability, at Germany and Hong Kong-based Esprit. Echoing this idea was Barthel, who noted that financial agreements with subcontractors can often work, where the company could, for instance, provide work permit fees for some undocumented workers in exchange for further transparency. But to successfully and comprehensively map supply chains, suppliers and subcontractors need to believe that brands will "respond in a constructive manner if they are transparent," Brown said. This is especially challenging in lower tiers, such as ironing, laundry and packaging, where non-compliance is more likely to take place. Furthermore, Bayramhan Boyer, regional social and environmental sustainability manager at Esprit, shared her experience of auditing small suppliers and workshops. She emphasised the importance of unannounced or semi-announced visits, an idea that was met with many nods, especially from Bernardo Cruza, head of CSR, value chain at Spain's El Corte Inglés. "We need to adapt BSCI audits to fit the Turkish reality. Special situations need special measures," Cruza noted. It was important to avoid scheduled audit fatigue – the result of many audits – which can lower transparency among suppliers and manufacturers, he warned. In a step forward towards providing solutions, the FTA has recently published a 'Guidance Document for Syrian Nationals Working in Turkish Supply Chains' in English, Arabic and Turkish. This advice aims to provide information for BSCI members to better understand and prevent abuses and exploitation of Syrian workers within their supply chains in Turkey, and help Turkish suppliers establish their own social management systems. As FTA Turkey country representative Müge Tuna explained, the FTA aims to disseminate this guidance widely. Moreover, in collaboration with the Turkish labour ministry, the FTA is working on raising levels of awareness among subcontractors through capacity building workshops, as well as distributing information materials throughout refugee camps in Turkey's eastern and south-eastern regions. Meanwhile, there was also a call for organisations such as the FTA, the Fair Labour Association (FLA) and the Ethical Trade Initiative (ETI), all of whom have a wide reach within Turkey, to integrate their efforts and work together to align their strategies. In addition, FLA Europe, Middle East and Africa regional manager Alpay Celikel mentioned that in December the FLA and the United Nations High Commissioner for Refugees office (UNHCR) held a roundtable discussion entitled 'Syrian Refugee Integration into the Turkish Labour Market: Challenges and Opportunities,' where 120 participants from trade unions, brands and Turkish governmental authorities attempted to identify the central issues in the debate. "We identified 21 key points; only two were legislative. And even the legislative problems, such as registration in different provinces, can be handled. That is the role the FLA can play," he said. The recommendations put forward by this roundtable are expected to be published by mid-March. With regards to brands suffering adverse publicity from this problem via the media, Celikel said such reports can "often do more harm than good." He explained this was because some media are misinformed, for example, about what constitutes child labour in Turkey, as the legal working age is 15. Moreover, suppliers are now more reluctant to hire refugee workers out of fear of repercussions, even if they are eligible for work permits. "The impact of this negative coverage really depends on whether the story is a single incident or is part of a larger series of stories. In some cases, it can cause lasting damage," Lary Brown said. The Turkish apparel industry accounts for more than 7% of the country's GDP, according to Turkish ministry of economy statistics. It is an attractive supplier market for Europe and the US due to its geographical location, quick-response or "fast fashion" business models, high levels of flexibility and good quality. 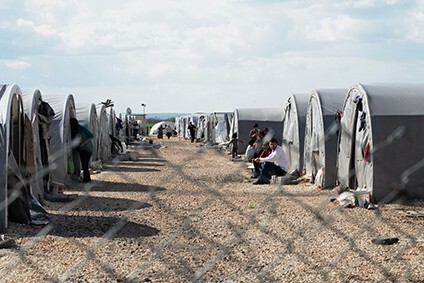 These are factors that are seemingly unaffected by the humanitarian crisis Turkey is dealing with, where it currently hosts some 2.8m Syrian refugees who are classified as beneficiaries of temporary protection. Companies therefore need to learn how to manage the grey areas that arise from such labour pools: the need to balance livelihoods and legal authorisations, as well as maintain ethical standards and corporate social responsibility.